This spring the Brandywine River Museum of Art in Chadds Ford, Penn., will present American Beauty: Highlights from the Richard M. Scaife Bequest, featuring the finest works from the bequest of Mr. Scaife—who left his impressive art collection to the Brandywine and the Westmoreland Museum of American Art following his death in 2014. Co-organized by the Brandywine and Westmoreland, American Beauty features 50 paintings—a top selection of 25 from each museum’s holdings—celebrating Scaife’s passion for the rich traditions of American art. The exhibition will be on view March 9 through May 27, 2019 at the Brandywine. A long-time trustee of the Brandywine—as well as a newspaper publisher and philanthropist—Scaife was also a passionate collector of American art. He bequeathed his entire art collection to the Brandywine and Westmoreland, specifying that it be divided evenly between the museums with each taking turns to make their selection. This exhibition provides the first opportunity for the public to see the finest paintings from the Scaife collection. For the Brandywine, Scaife’s gift added significant depth to its landscape holdings, introducing extraordinary works by Martin Johnson Heade, John Frederick Kensett and Albert Bierstadt, as well as American Impressionist paintings by Theodore Robinson and Julian Alden Weir. Westmoreland’s collection was similarly enriched, including a stunning landscape by George Inness along with several marine paintings and elegant figurative works by artists such as William Merritt Chase and Guy Pène du Bois. Together, these paintings present a fascinating glimpse of one man’s vision and an overview of the evolution of American art in the nineteenth and early twentieth centuries. "We are delighted to be working in partnership with the Brandywine for this exhibition,” commented Anne Kraybill, Richard M. Scaife Director/CEO of The Westmoreland Museum of American Art. “We are very thankful that Mr. Scaife left these works in trust to our museums to preserve for future generations to enjoy." During his lifetime, Scaife surrounded himself with works of art at his two homes in Pittsburgh and Ligonier, Pennsylvania, as well as those in Pebble Beach, California and Nantucket, Massachusetts. In California and Massachusetts, he tended to collect the work of artists showing scenes of these locales. 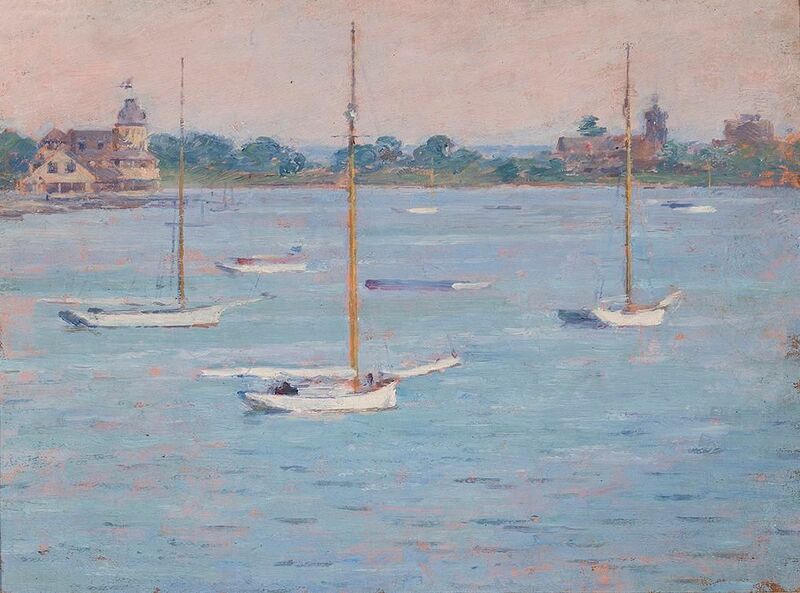 This was especially the case in Nantucket where he surrounded himself with nautical subject matter by both historical and contemporary artists. A broader selection of American art could be found at his two southwestern Pennsylvania homes, as well a handful of regional artists. Examples from all four of his residences are featured in this exhibition.